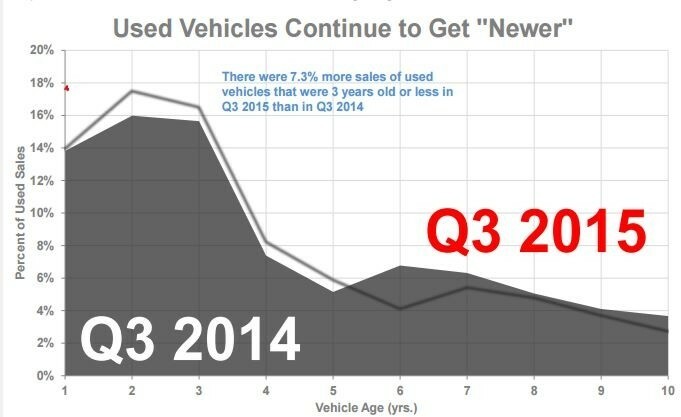 2015 is a year with a notable rise in used car sales. Increasing by 2.5 percent in a year-over-year analysis, used car industry sales show the industry is meeting the needs of car buyers. Of the most popular choices, consumers purchased mid-sized vehicles over all of the other vehicle classes. Some of the car buying spending increases were due to the year’s low interest prices. For many of the young money-conscious consumers, the pros of purchasing older vehicles outweigh the cons. For new consumers in the car-buying market, simple, older and reliable commuter models meet needs and appeal to their economical side. Five-year loans are the norm for used-car buyers as the promise of lower payments over longer spans of time offer financial security and manageable options (Edmunds.com). As the 2015 buyer’s market comes to a close, the trends of 2016 are becoming more clear. It is expected that convenience through autonomy will continue to be a rising trend. Features like gesture controls that include “swipes” to activate infotainment systems without touch-screens will soon be offered to consumers. Apple CarPlay and Android Auto will become standard in car models and a possible addition to used-cars as well. With used-car sales expected to increase in 2016, technological young buyers can still get their fix at a more affordable price. Be sure to check out Driver’s Auto Mart’s used car inventory. We have a big range of prices, years, makes and models. We’re located in Davie, which is conveniently located between Fort Lauderdale and Miami.